After starting the season 6-0, the men’s basketball team headed to tournaments in Nebraska and Wyoming and then played one game in Price. Since the beginning of the season the team has only been on their home floor five times and looked impressive each time. 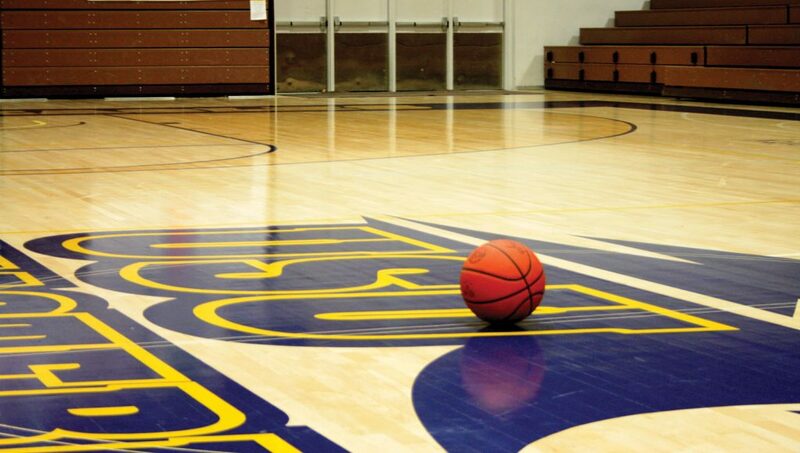 On Nov. 18, 2011, the Golden Eagles played McCook Community College in a tournament hosted by Western Nebraska Community College. Head coach Brian Edelstein said, “We came out really slow, we just didn’t come ready to play.” The team got behind by 11 early on when the score was 15 to 4. “We did a great job playing through adversity, when the chips are against you and you are able to respond, that is a good thing and we did a good job responding.” The end of the first half, MCC led by 2, 41-39 over USU Eastern. The second half was a different story and the men came out on top with a final score, 86-82. The Golden Eagles had four players with points in double figures, Neveij Walters and Dashaun Wiggins lead the team with 19 points apiece. Walters also brought down 13 rebounds, 5 of them being offensive rebounds. Travon Langston led the team in assists with four. The next day, Nov. 19, they played the hosts of the Nebraska Tournament, Western Nebraska Community College. The men looked like a different team from the day before, having the largest lead over WNCC when the score was 34-22. WNCC was able to fight back and end the first half were down by 4, USU Eastern lead 49-45. The second half was the same story and the Golden Eagles pulled out a win over the home team, 100-89. “They [WNCC] tried to extend the game by making us shoot free throws, we did a good job, shooting 21 for 26 is as good as it gets,” said Edelstein. The team had 38 points from the charity stripe and shot 74 percent. USU Eastern had five players in double figures and were led by Wiggins for the second day in a row. Along with 11 points, Chase Flint had 11 rebounds for another double-double making it his third of the season. The final score was 100-89. The weekend of Thanksgiving break, the men headed to Wyoming to play in a tournament sponsored by Western Wyoming Community College. On Nov. 25, the team played Central Wyoming College. Reflecting on the game Edelstein said, “We controlled the whole way through, we were just solid.” USU Eastern once again had the largest lead of the night early in the second half when they led by 16 and the scoreboard read 41-25. The team had three players that had point totals in double-digits which is always a good thing, Demetrus Richardson led in that category with 19, going a perfect 8 -8 from the free throw line. Flint added 11 points, while bringing down 7 rebounds and dishing out 4 assists. At the end of the game, the scoreboard had the Golden Eagles beating the Rustlers 64-56. On Nov. 26, the team was geared up to play Western Wyoming Community College, the host of the tournament and a team that dealt last year’s Golden Eagles an early loss. The teams got off to a slow start once again, but were down by 7 at half time; WWCC lead 30-23. At one point, WWCC had a 21-point lead, but as they have many times before, the Golden Eagles clawed and fought their way through the adversity. Unfortunately this time, the adversity was a little much to overcome and time expired. The final score was WWCC 79, USU Eastern 73. He added, “It was the first game where I felt like we didn’t have that ‘team’ mentality.” Despite not playing their best, the team had four players in double figures in the points column. Walters led the team in points and rebounds with 19 and 9 respectively. On Saturday, Dec. 3, 2011, the Golden Eagles hosted WWCC in Price, hoping to avenge the previous week’s loss. Unfortunately for the Golden Eagles, WWCC had different plans. Eastern opened the game slow and the Mustangs capitalized on that. At halftime, the team was down by 6, with the scoreboard showing 40-36. The second half was going well for USU Eastern as they kept pulling closer and closer to the Mustang lead. Unfortunately for the team, there were a few arguable calls and arguing resulting in a technical foul on the team. At the end of the game, USU Eastern had dropped their second game to WWCC. Walters led the team in points and rebounds, earning another double-double with 26 and 13 respectively. Flint lead the team in assists and also added 18 points to the team total. This weekend, Dec. 9-10, the Golden Eagles again take the court at the BDAC at 7:30 p.m. on Friday and on Saturday, the team plays host to Atwater Select and tip-off is at 5 p.m.